It's hard not to think in terms of school years. I keep thinking, okay I will do this until September...when in reality September becomes just a month in the year, it isn't the 'New Years' of back to school. It's simply just a month, and at that, an extension of a summer month since September can still be quite mild. I have been going to school for seventeen years. SEVENTEEN YEARS! And now, I am free, yet so stuck in the groove in school I can't help but break down the year in that way. This is the start to the rest of my life. Of course I have been living before, yet not I have no solid commitments to what I have to do or what I don't have to do. I can do whatever and that feels good! It has been almost too overwhelming deciding what I want to do, where I want to be and what will make me happy, but I have realized that looking that far ahead it impossible as we cannot predict what will change. I automatically have been planning up until September, having to stop and remind myself that it's just a month not a start to anything and that my plans can exceed into fall, winter, spring and back to summer - there is a lot of time to figure out what will make me happy, but more specifically what will make me happy right now is what matters. 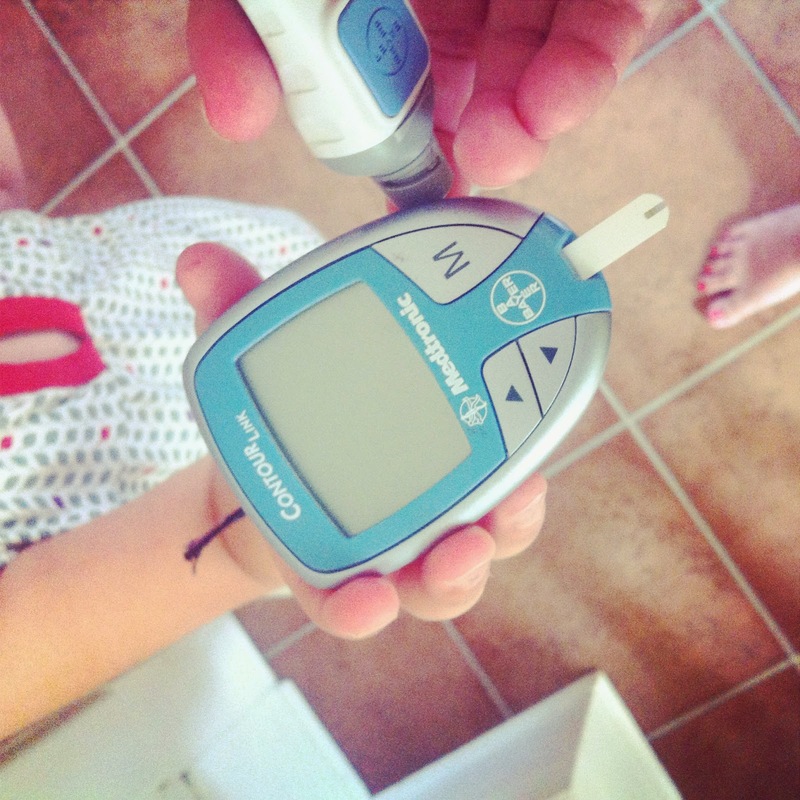 Watching E is giving me hope that my diabetes management will only improve. How awful would I be to make her check her b/g and not check mine. The other day she asked to check my b/g for me and had the strip in my meter before I could even answer. We're each others diabuddies and that makes me happy. Noting to myself that what makes me happy right now is taking care of my diabetes and being a great help in managing hers as well. I am not sure where life is going to take me, but have to trust that that is the beauty of life. I have to remind myself that is isn't about getting to September, it is about getting through the day and not just getting through the day but truly living within the moments, enjoying the people around me, listening to myself and taking care of myself. I may not be returning to school in the near future (never say never...) however, I am learning every day and that is awesome!